Sophia Brewer, Oil and Gas Intern, contributed to this article. Since the 1892 discovery of oil in California, the oil and gas industry has been a major economic engine and energy supplier for the state. Although this oil and gas production may be broken down into dollars and barrels, it doesn’t tell the story of the potential impact of drilling activity on the lives of the people in Los Angeles and the Central Valley who live right next to these operations. While some production sites may be meeting stringent operational and environmental standards, others may not –there simply isn’t data to discern which is which – and that is where monitoring comes in. The world is experiencing the largest technology and innovation boom in history. Computers, space-age science, the internet, and cloud-based information platforms are making the collection and analysis of data easier than ever before. There’s no reason the gathering and evaluating of pollution data should be any different. Oil and gas companies like StatOil, Shell, PG&E, and SoCalGas; academic institutions like Stanford and Colorado State University; government agencies like NASA and South Coast AQMD; and several tech companies like Picarro, Quanta 3 Sensit, United Electric Controls, Entanglement Technologies and many more; have demonstrated that it’s now possible to install precise continuous monitors at or around oil and gas facilities to capture real-time data on air pollution at all hours of the day. In some cases, such as natural gas storage sites, monitoring systems are being tested and installed right now under new regulatory requirements. In other cases, companies and communities are installing continuous monitors to provide valuable information about on-site operations issues or to inform neighbors of potential health risks. A major series of studies is also underway by the state of California, stemming in part from requirements of AB 1496 to evaluate potential methane “hot-spots” in the state and observations of a 2016 Air Resources Board study that demonstrated that nearly half of the leaks at California oil and gas sites have detectable levels of cancer-causing compounds. From these efforts, it is clear that more pollution monitoring is needed to protect the public. 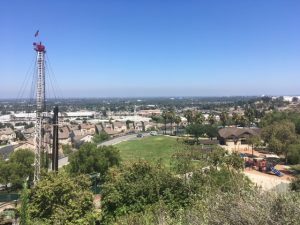 Perhaps the clearest example of the value of continuous monitoring can be seen at the Aliso Canyon gas storage field – operated by the SoCalGas Company. Stemming from a well blowout in October 2015, the event cost SoCalGas and its insurance providers over $832 million as of June 30, 2017, with additional costs expected well into the future. Pollution monitors may not prevent massive leaks, but they may act as an early warning system that alert facility operators to the presence of smaller leaks before they grow into bigger problems. Continuous monitors can also act to empower the public and quell concerns over uncontrolled and unknown emissions. As a result of the Aliso Canyon incident for example, the California Air Resources Board (CARB) required the installation of continuous monitors at all natural gas storage sites in California. With these types of facilities holding vast amounts of natural gas mixed with crude oil residues and pollutants like benzene, the new CARB rule is a testament to the commercial availability of continuous monitors and the value these monitors provide to regulators and the public. To find another example of the value continuous monitors can deliver, one must look no further than to the 1.3 million Californians who live within a half mile of the 93,000 active oil and gas facilities in the state. And since recent studies suggest a possible correlation between living in close proximity to oil and gas production sites and respiratory complications such as onset asthma and cancer, the public depends on strong regulations, transparent information, and equitable enforcement to minimize the risk of pollution from these sites at all hours of the day. In California, nearly 69% of residents living near oil and gas sites are people of color – meaning emissions disproportionately burden these communities. Government agencies and oil and gas operators may not intend for these disparate impacts, but they are none-the-less part of the landscape and local residents often have neither the time, energy, and/or money to stand up to fix these inequalities. Continuous monitoring for air pollution will foster better transparency between corporations, the government, residents, and customers. Through this improved transparency and resources to evaluate data, in particular in areas where people live and work immediately adjacent to oil and gas sites, monitoring can and will encourage the highest levels of corporate responsibility, more precise and informed engagement by neighbors, and higher levels of effectiveness in government oversite efforts. By investing in low-cost, high precision continuous monitors, oil and gas companies will reduce pollution in the neighborhoods where they are needed most. While many have a vision of a fossil fuel free world, elimination of oil production isn’t likely to happen any time soon. What is on the horizon though, is technology and data analytics that can better document pollution from the industry and help aim toward consistent environmental responsibility. 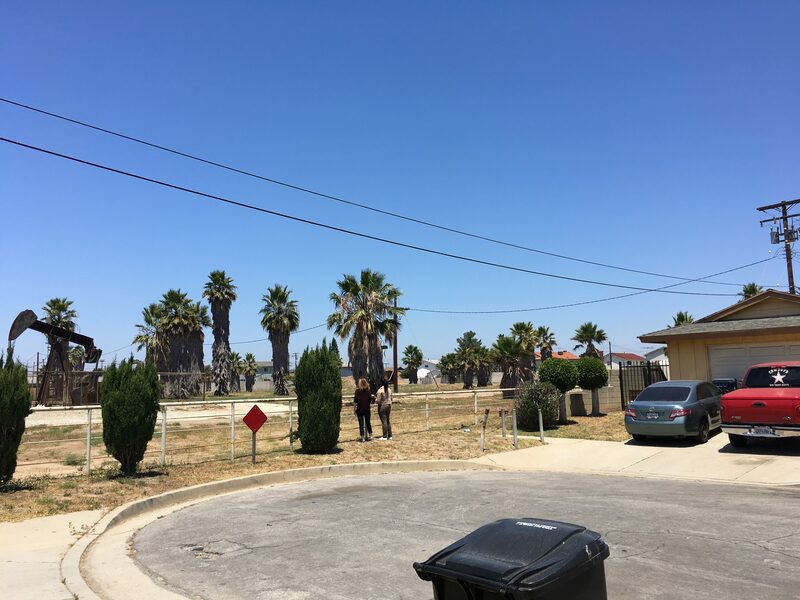 As a matter of capturing the low hanging fruit, at minimum, high producing sites located next to homes and businesses in disadvantaged communities (like many in the Los Angeles Basin) seem to be a perfect fit for early roll-out of monitors and data evaluation resources that document and result in reduced pollution.